Has al-Maliki Painted Himself into a Corner? Ninety-five days ago, Nouri al-Maliki set himself, or more specifically, his ministers, a target: They had 100 days to improve public services and root out corruption. Since then, progress has been made in important areas such as the provision of electricity, but many of these projects will take time to implement. In the meantime, protests continue, and there are reports of demonstrators being arrested, and being prevented from reaching Baghdad’s Tahrir Square. There have been hints in recent weeks that Maliki is considering dissolving the government; one of the newly-appointed Deputy Presidents has already resigned after just two weeks in the post. Maliki’s 100-day promise may have taken some of the heat out of protests three months ago, but some find it strange that such an experienced politician has given this hostage to fortune. Many are now wondering if the Prime Minister has painted himself into a corner. 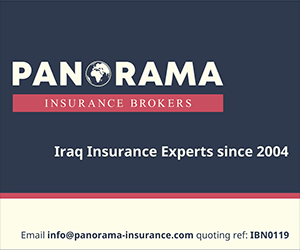 Upper Quartile and AAIB are the ideal partners to guide your business through the complexities of Iraqi life. For more information please contact Gavin Jones or Adrian Shaw.